The Propeller Club of Port Canaveral presents ShrimpFeast. A delicious buffet featuring shrimp prepared in a variety of ways will be provided by Fishlips. The shrimp will be locally sourced by Wild Ocean Seafood. The buffet will include BBQ Chicken and all the fixins. The Beach Bums will be providing live music and the Brevard Hawaiian Dancers will once again give an amazing performance. Each attendee of age will receive two drink tickets for beer or wine with the ticket purchase and there will be a cash bar! Come join the fun with dancing, door prizes, silent auction and a Best Hawaiian Shirt contest! Proceeds go to help the Propeller Club support our community outreach initiatives including our scholarship program for students going on to maritime-related studies and support for the Rockledge High School Maritime Studies program! Located at Cruise terminal 5. Prices vary, check their website to learn moore. The Hurricane Street Party is back for 2019! Bring your friends, family, and neighbors to this exciting event taking place in Downtown Titusville. The streets will be closed for local vendors, food trucks, live music from Gypsy Rain, as well as the unique opportunity to speak to experts about how YOU can get prepared for the upcoming hurricane season. This event is from 6:00 PM to 9:00 PM. Join the Special Olympics Florida Spring Surfing Festival this April 13, 2019 at Alan Shepard Park in Cocoa Beach from 8:00 AM to 4:00 PM. This is a celebratory event open to surfing athletes across the state. Tour the historic homes of Eau Gallie and enjoy the beautiful flora that accompany them. The tour will make stops at the Rossetter House Museum, St. Johns Episcopal Church, the Mitchell Home, the Bennett Home, Victoria Landing, Woods Home, and Houston Street park. Tickets can be purchased online, at our office, or at the event. The tour starts at 9:00 AM and you are free to move as fast or slow as you want. A Celebration of all things Cape Canaveral! East Coast Viera, Viera Charter School, and Viera Pizza have teamed up for Brevard County's BIGGEST Easter Egg Hunt! Must Register on Eventbrite and be present at the event for a chance to win prizes! Happening on Saturday, April 13, 2019 at 11 a.m. you can enjoy free food, fun, and over 20,000 eggs! Children ages 0 to 12 are invited to enjoy FREE, Games, Inflatables, Music, and FREE PIZZA FOR THE WHOLE FAMILY FROM VIERA PIZZA (2 free slices per person)! All children will be accompanied by parents during the egg hunt for safety. This event is FREE and open to the public! Race benefits The Children's Hunger Project and Quest Elementary School. Always held the second weekend of April, this event draws a good mixture of Floridians and triathletes from more northern states anxious to escape the cold and get in a springtime race. The race begins at 7:00 AM and starts and finishes near the Cocoa Beach Country Club. 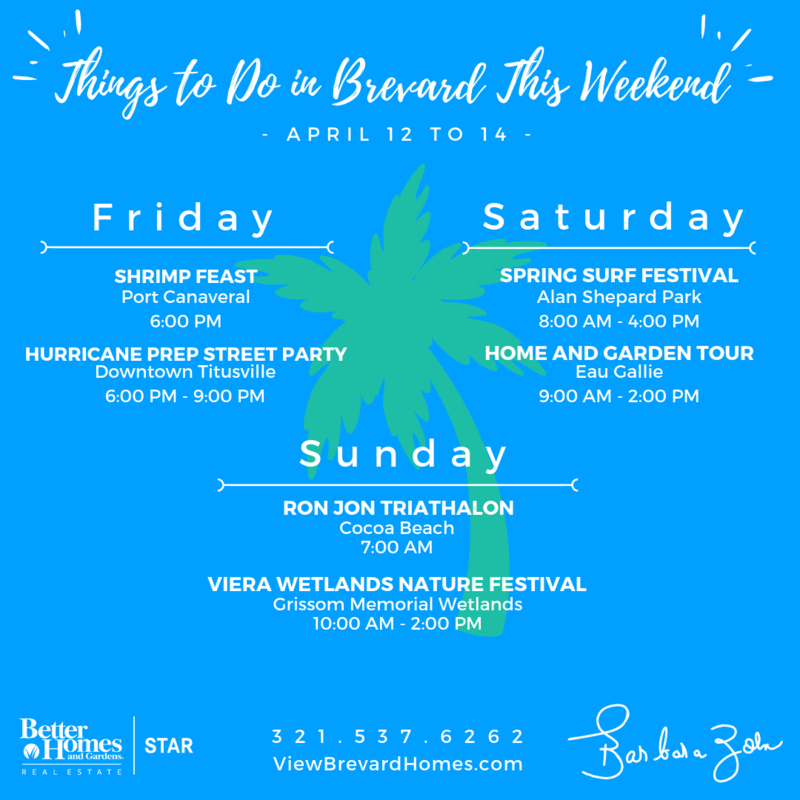 The 10th Annual Viera Wetlands Nature Festival is a 2-day event at the Ritch Grissom Memorial Wetlands in Viera, Florida, sponsored by The Viera Company and the Viera Community Institute. 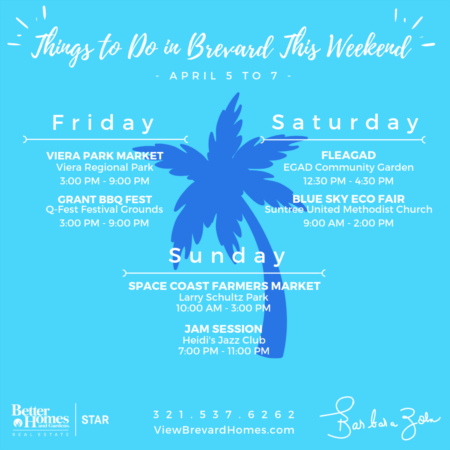 The event is a fundraiser, with eco-friendly and educational vendors, exhibits, classes and tours, to learn and explore the beautiful setting and highly visited site here in Viera. Scheduled tours and classes are available during the 2-day event with professionals in photography, environmental education, staff from Brevard County's Natural Resources Management Department and Viera Wetlands Rangers. Tours and classes are offered with donations to support the maintenance of the site. The festival and vendor area will be open from 10:00 AM to 2:00 PM.